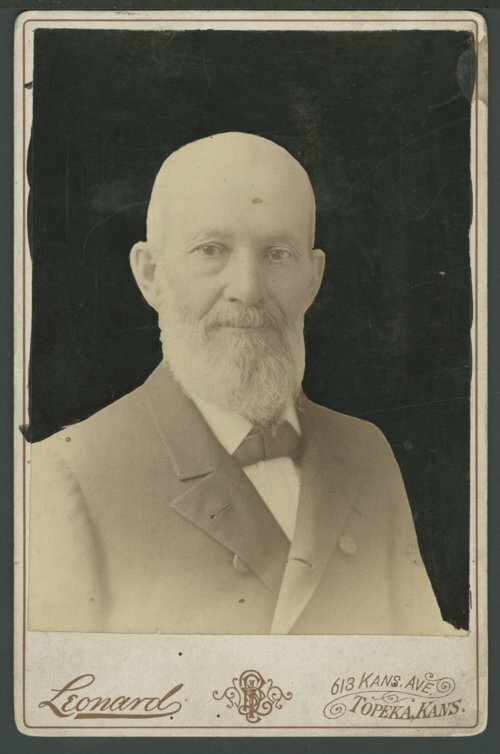 This is a portrait of Franklin G. Adams who was the Secretary of the Kansas State Historical Society, Topeka, Kansas. Adams was a member of the Leavenworth Constitutional Convention. He served as an election judge for the second vote on the Lecompton Constitution. Earlier he was a Clerk of the U. S. District Court of Kansas. In 1875, he became the first secretary of the Kansas State Historical Society.